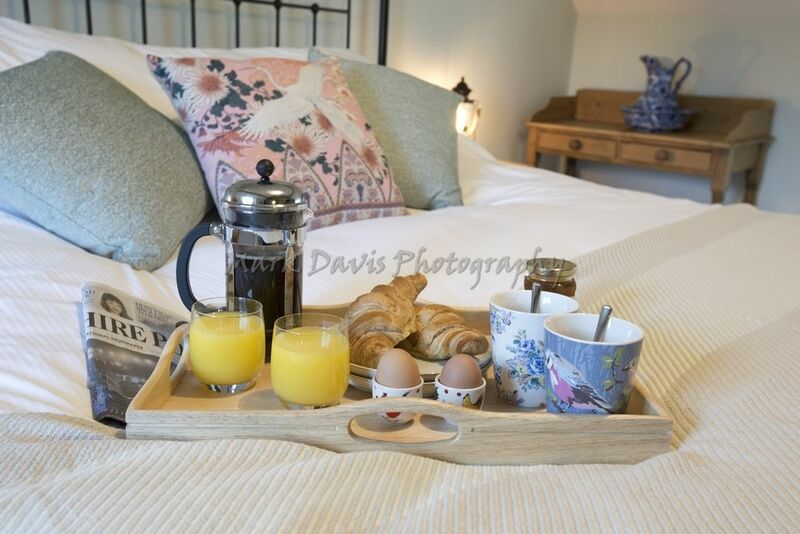 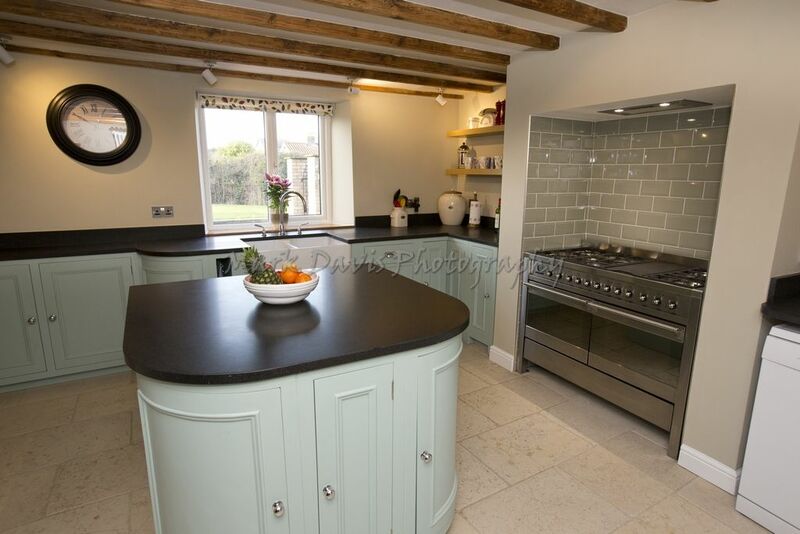 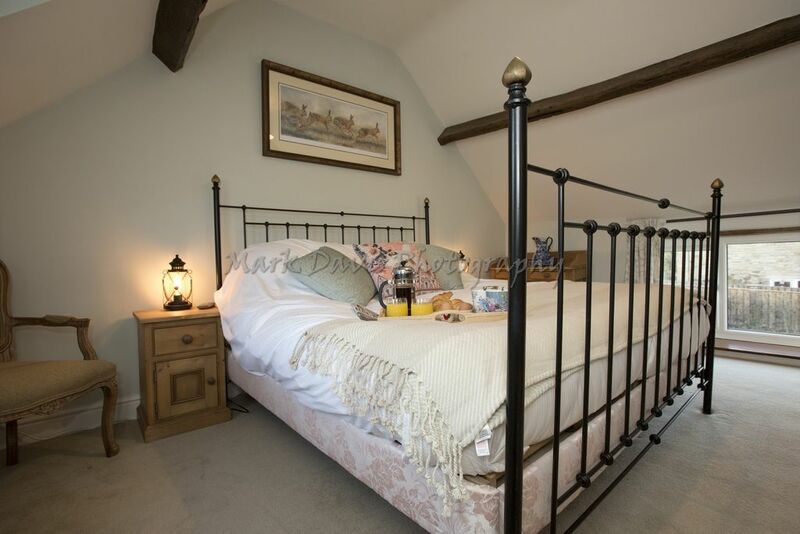 Subject to a recent and complete refurbishment, every inch of this lovely property has been given the luxury treatment, without detracting from the inherent character. 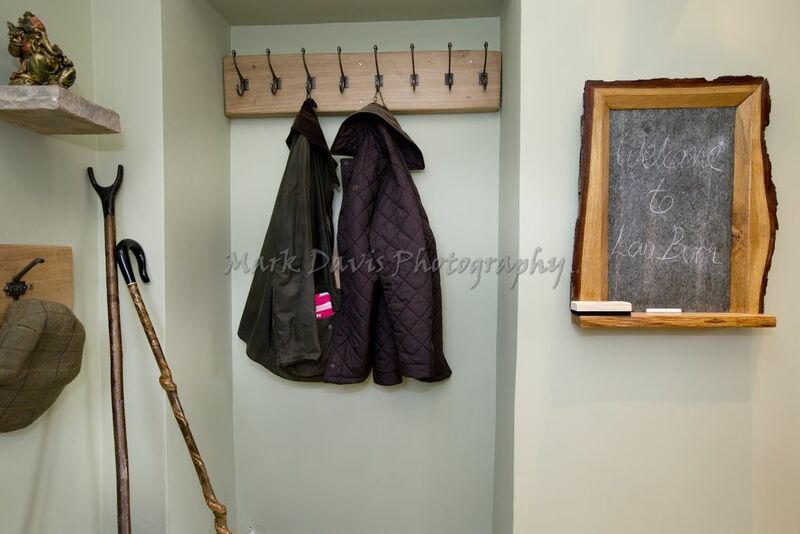 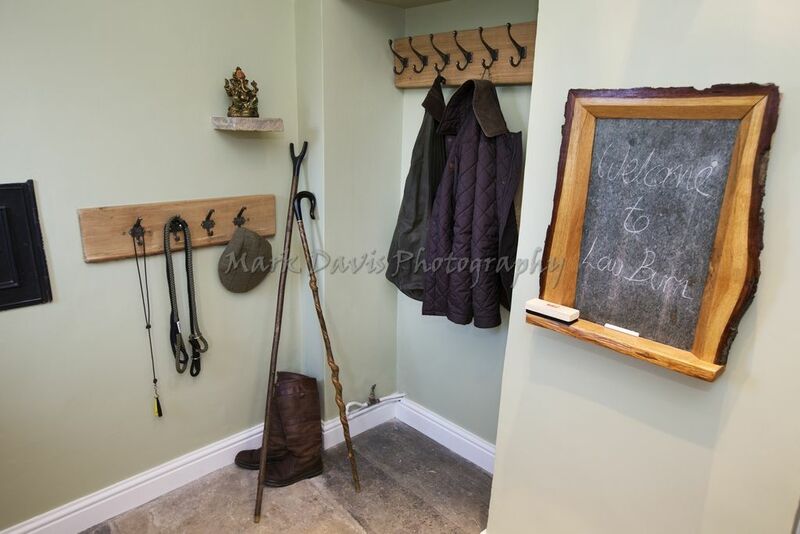 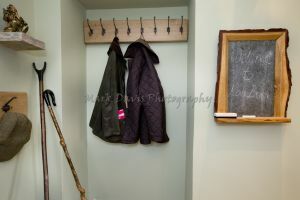 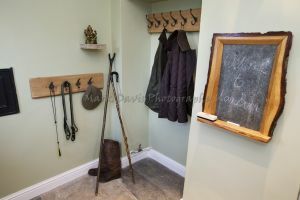 Step in to find a large elegant entrance hall with a traditional stone flagged floor, just the place to leave boots and coats after a hike across the North York Moors. 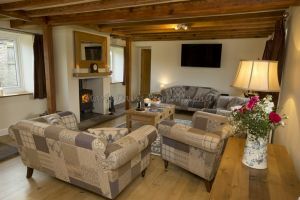 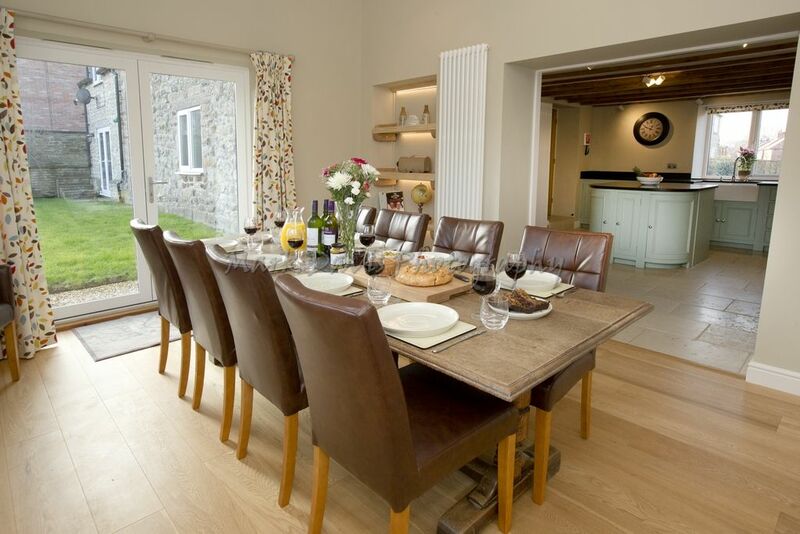 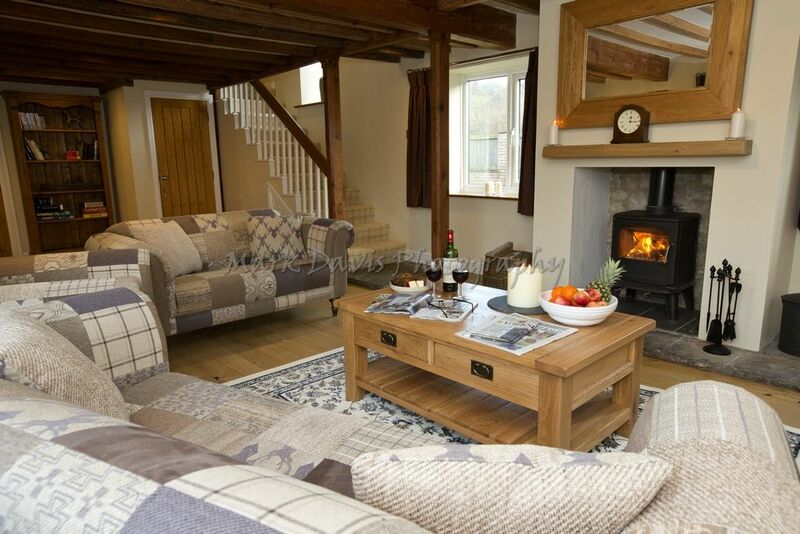 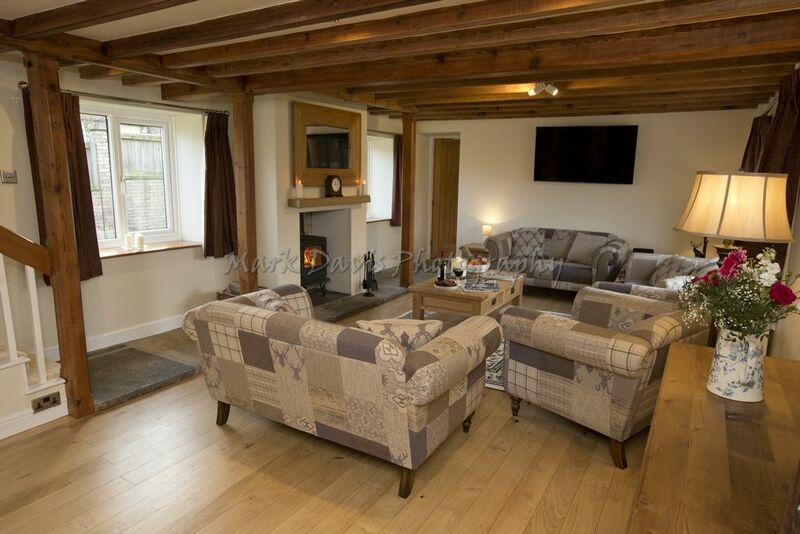 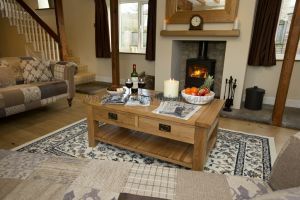 This leads you to the huge living room, a comfortable and welcoming space for the whole family with its warm oak flooring, exposed beams and wood burning stove. 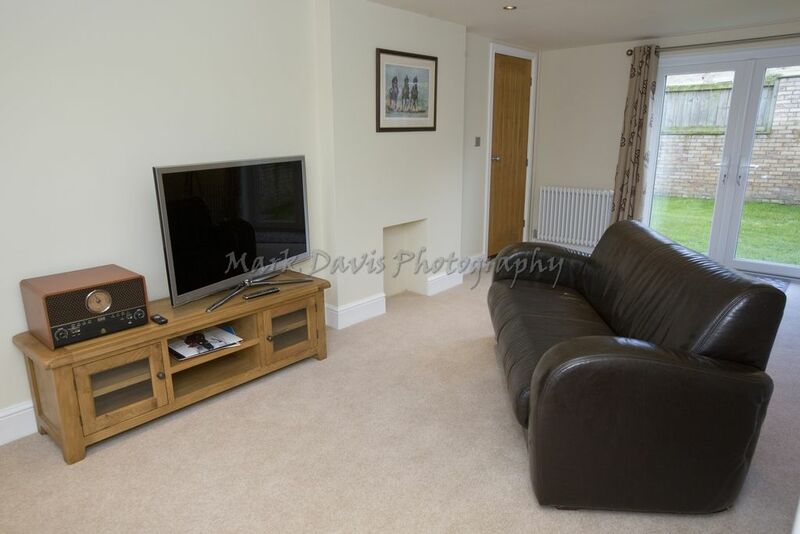 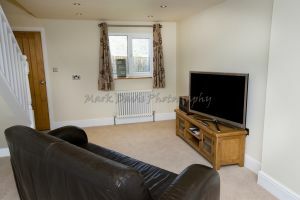 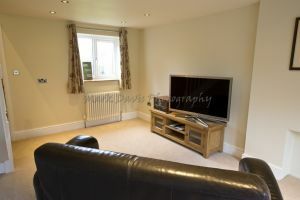 There’s a SMART TV with Freesat and DVD player in here and Wi-Fi is provided too. 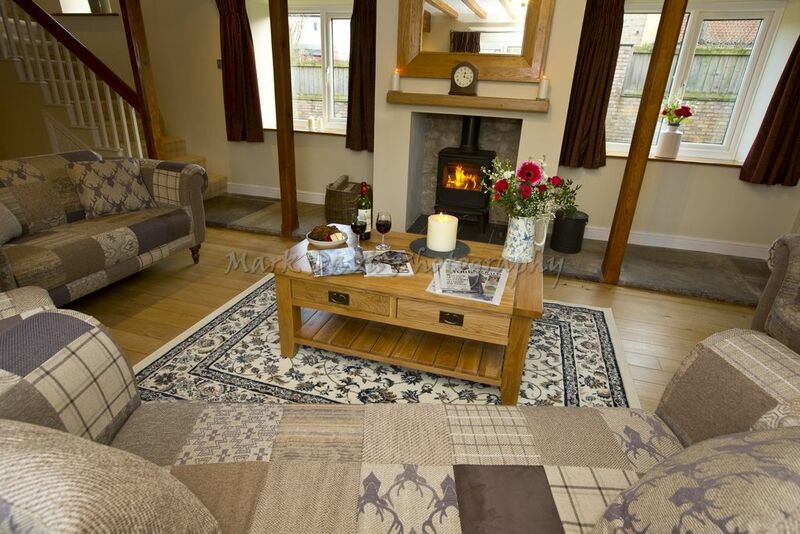 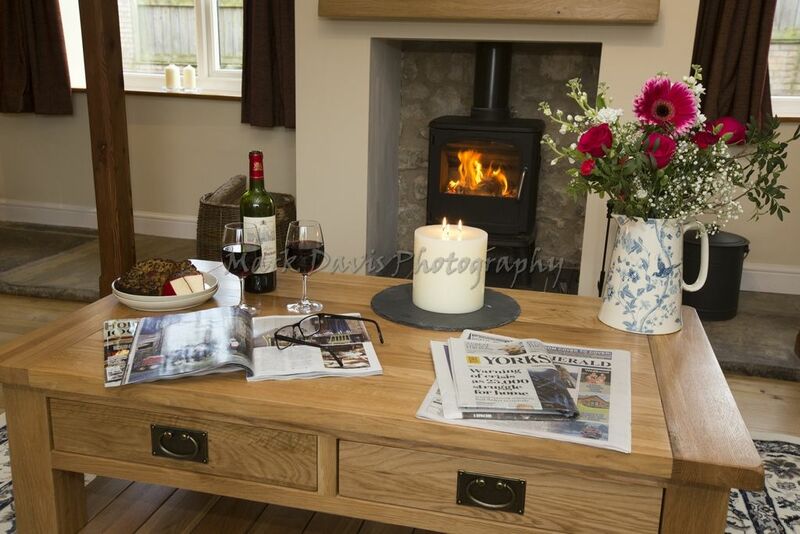 Light up the fire, grab some nibbles and settle down to a family movie. If the kids want their own space, there’s a separate snug room with another large TV and pool table to keep them entertained. 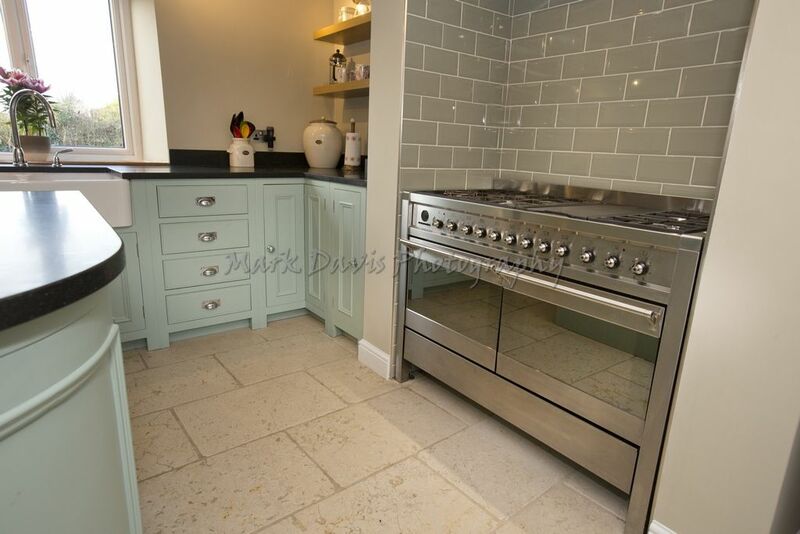 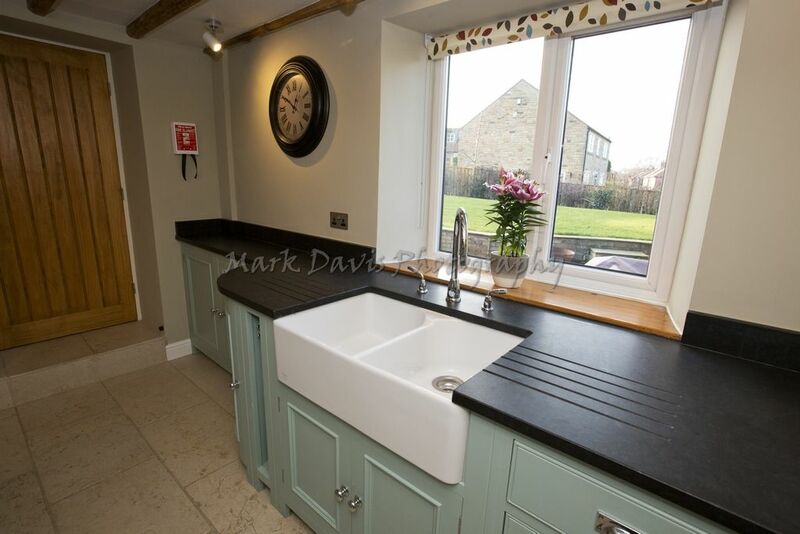 Take a left from the entrance hall to discover a generous attractive kitchen boasting stone floors, elegant blue units, a Belfast sink and a solid granite worktop. 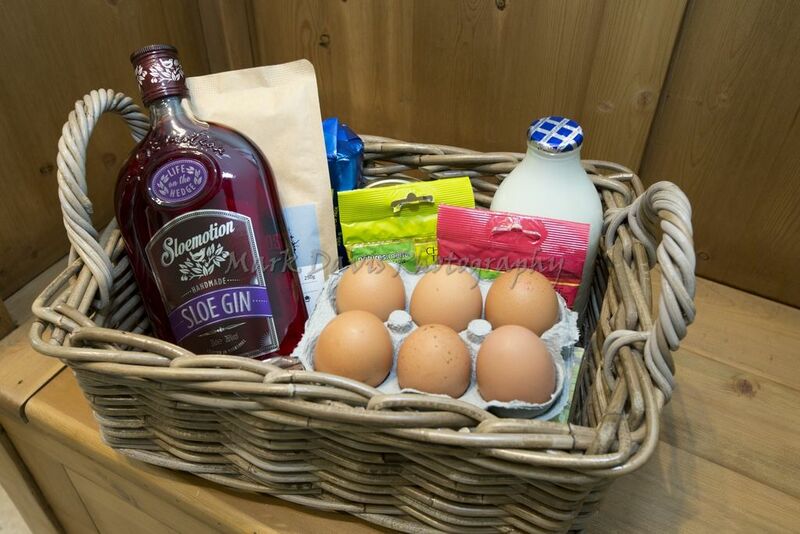 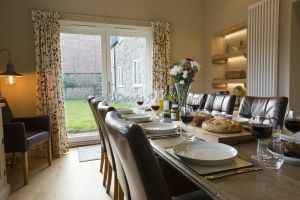 A large range cooked sits comfortably in an alcove just waiting for you to rustle a hearty family meal. 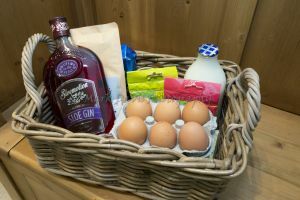 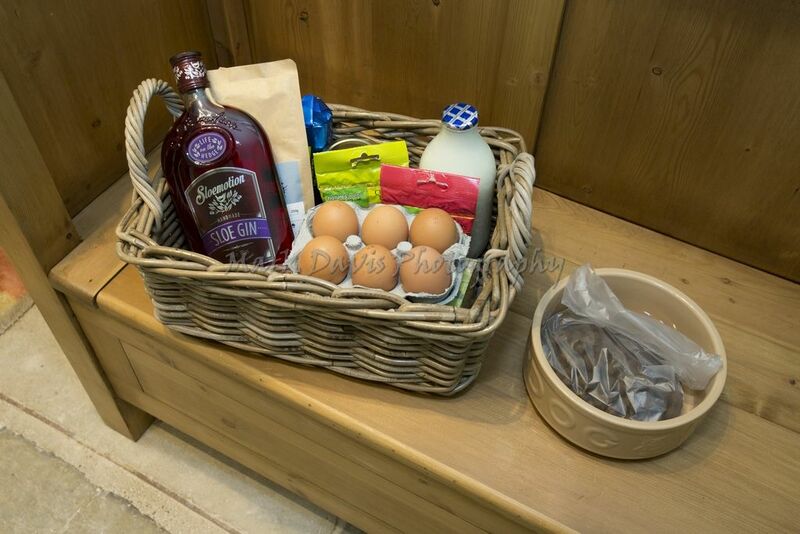 The cupboards are well stocked with all of your essentials and there’s a large American style fridge-freezer to store all your goodies. 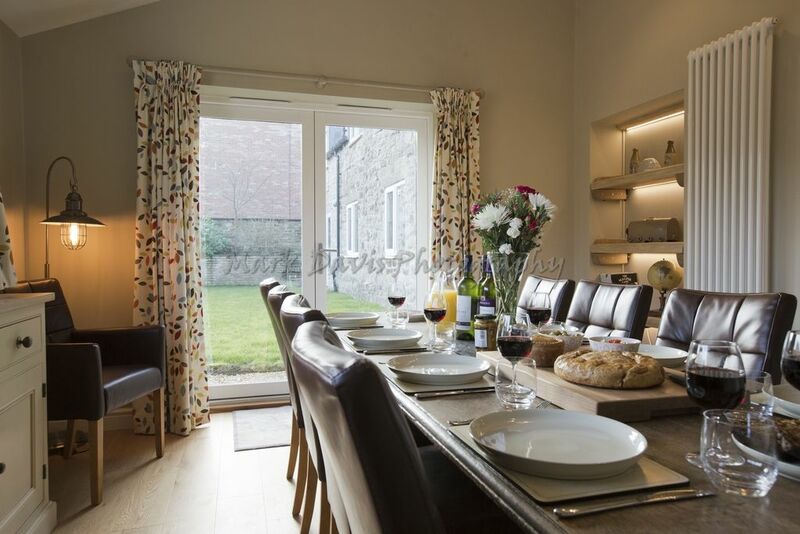 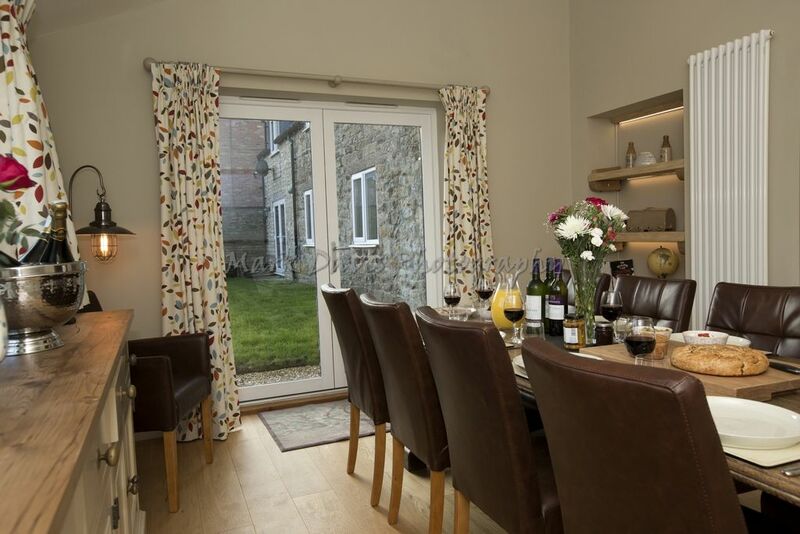 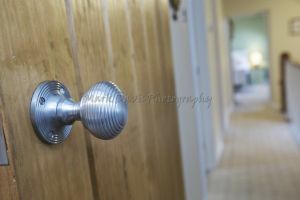 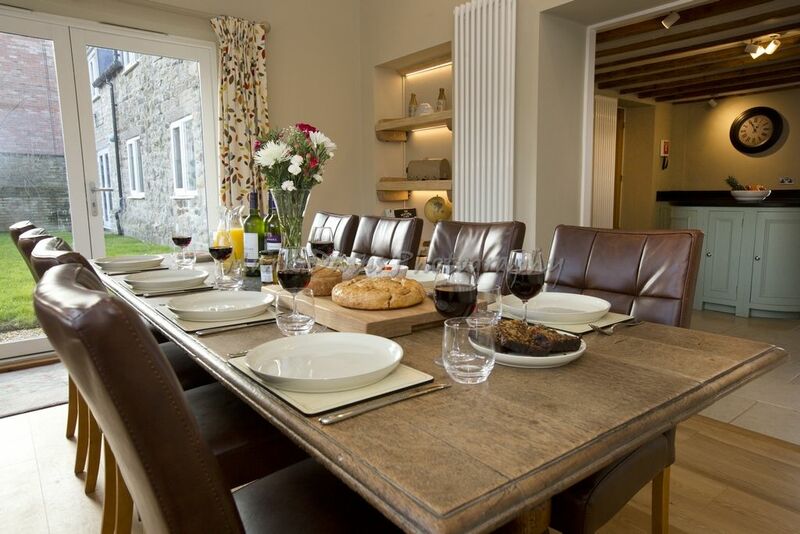 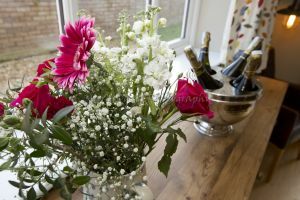 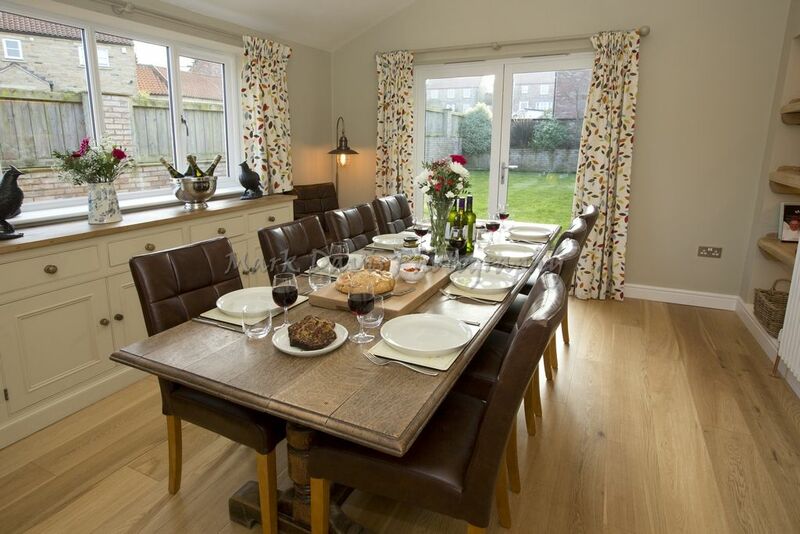 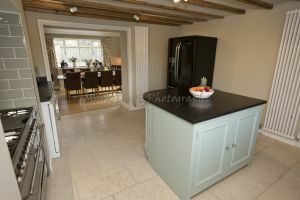 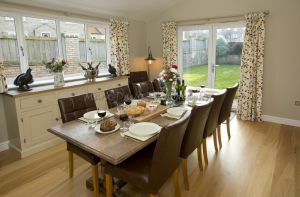 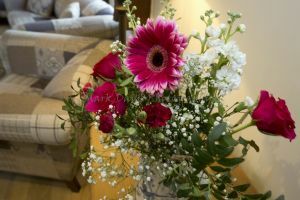 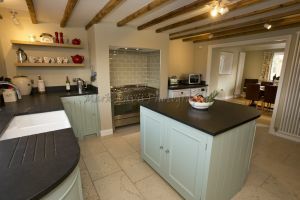 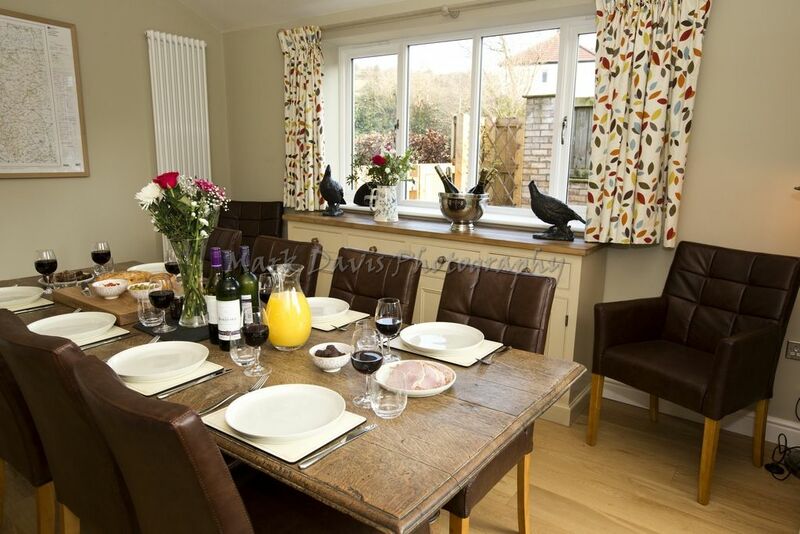 The dining room sits next door, another light filled room with oak flooring and patio doors leading out into the garden. A very pleasant space to dine in with room to seat everyone comfortably. 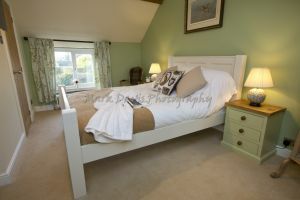 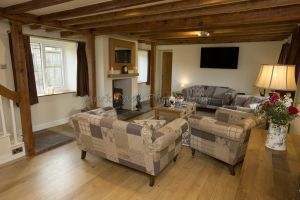 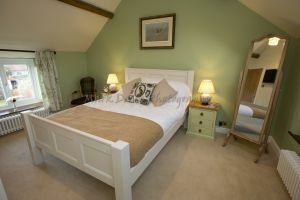 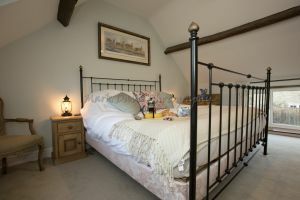 All of the bedrooms in Low Burn Cottage are upstairs. 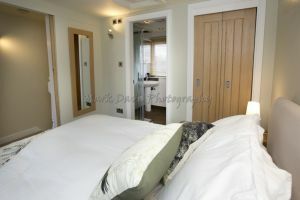 The first is set on same side as the snug and boasts its own private staircase. 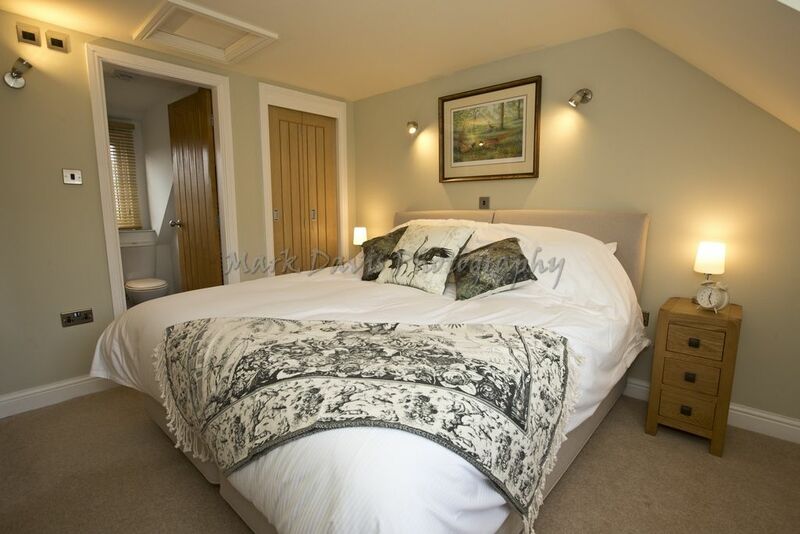 This lovely room features a super-king size zip & link bed which can be configured as two full size singles if preferred. 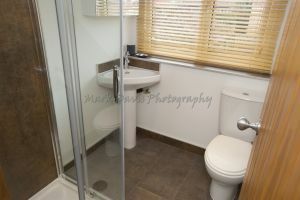 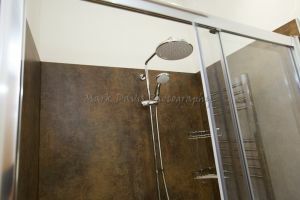 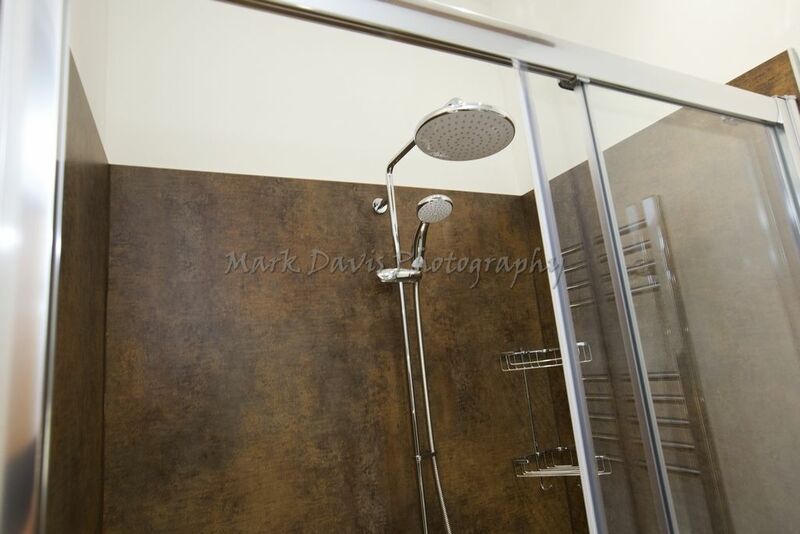 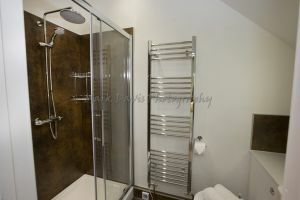 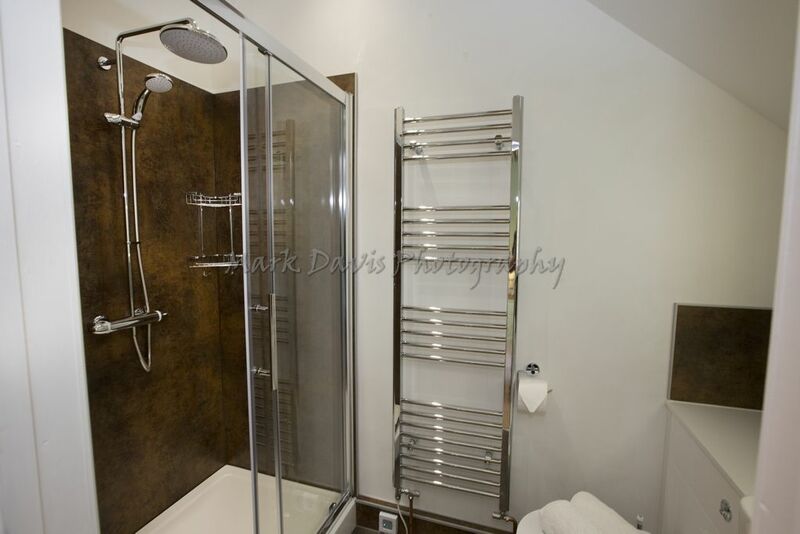 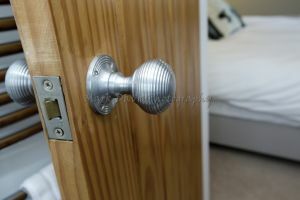 It also has an en suite shower room, so you’re perfectly contained in your own little private apartment within the house! 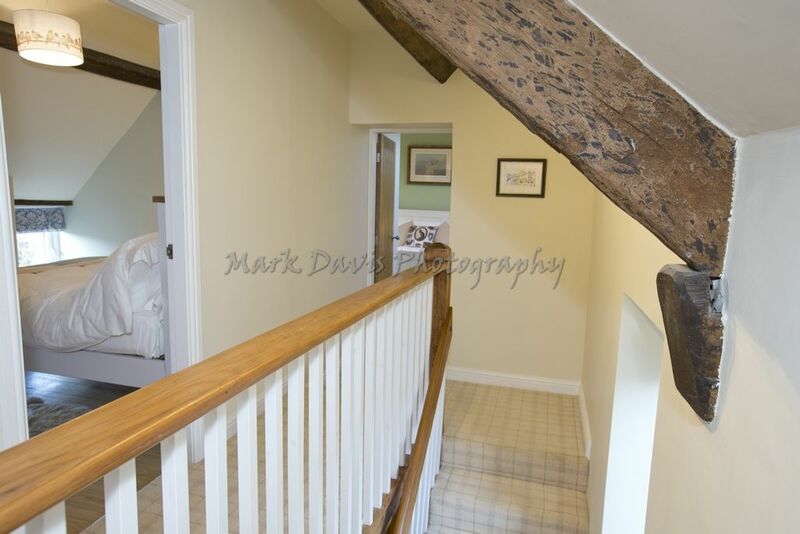 The remaining bedrooms are accessed via another staircase from the living room. Here you’ll find the master bedroom, with a comfy king-size bed and en suite shower room. 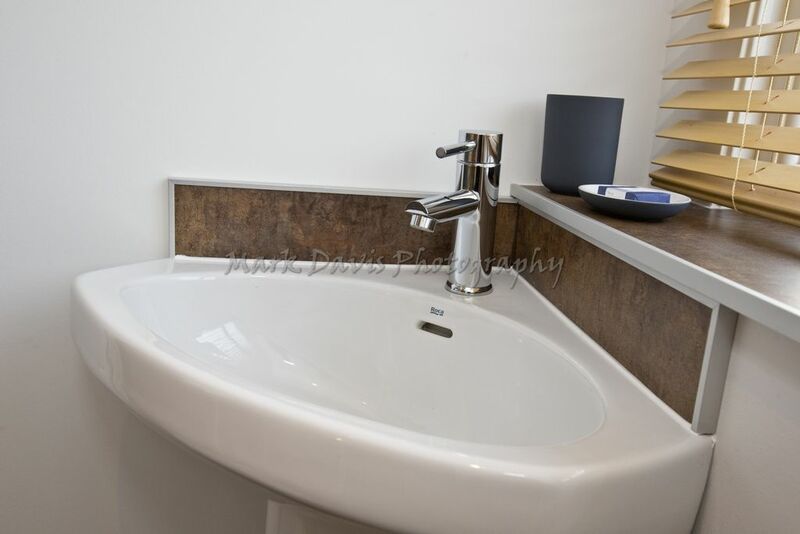 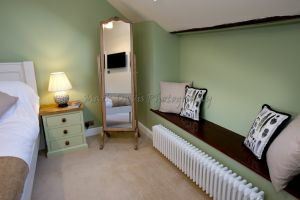 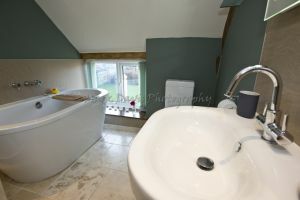 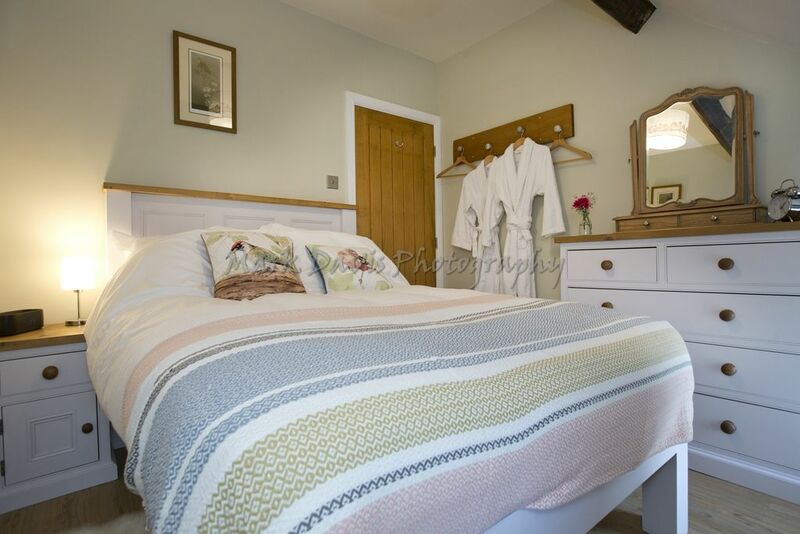 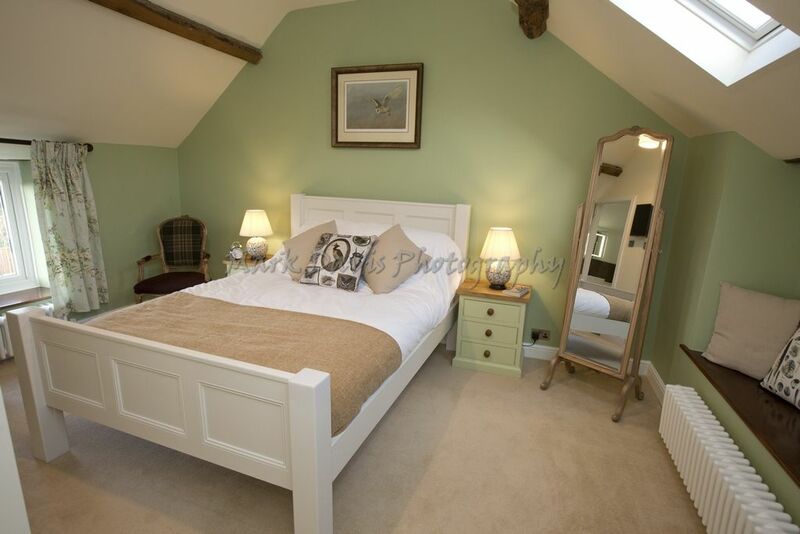 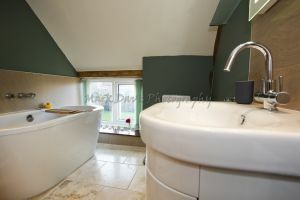 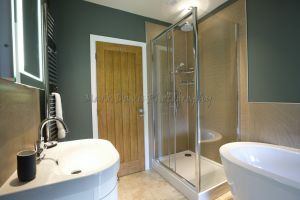 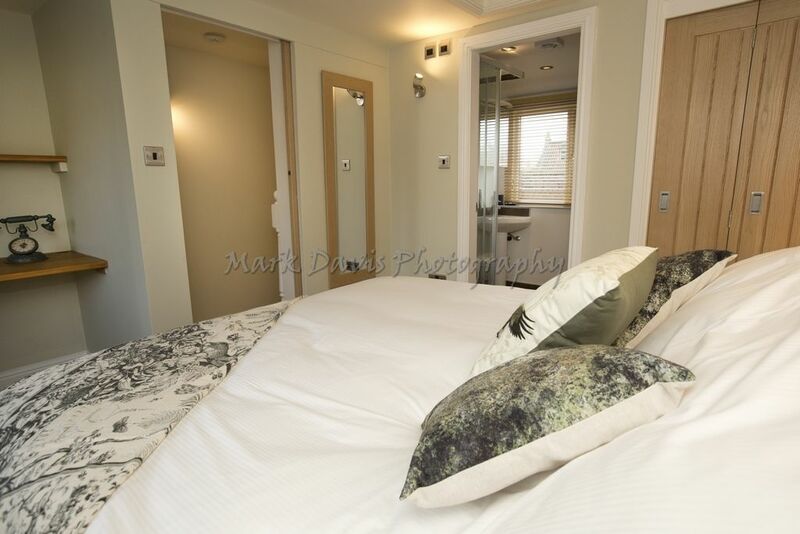 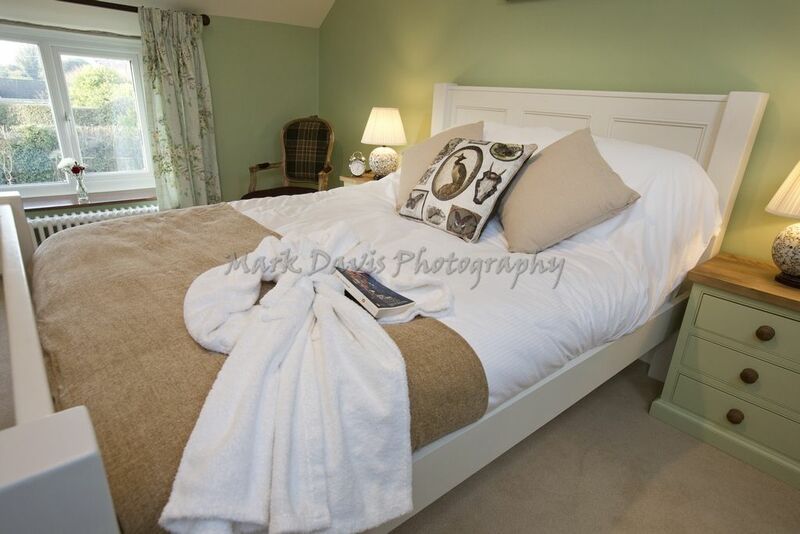 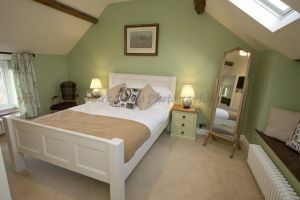 The third bedroom is a cosy double room which shares the gorgeous family bathroom with the final bedroom. 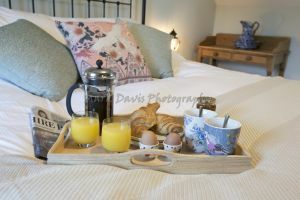 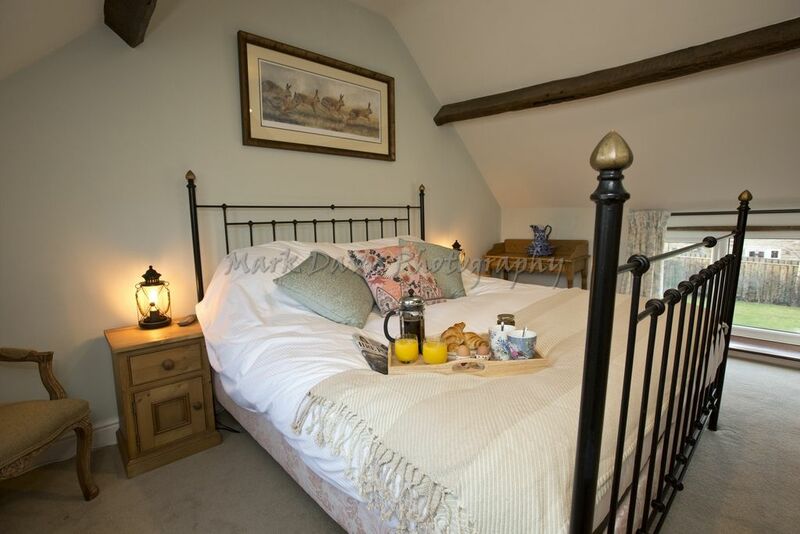 The last bedroom is found at the end of the landing, another spacious character-filled room with exposed oak beams and a Super king-size bed. 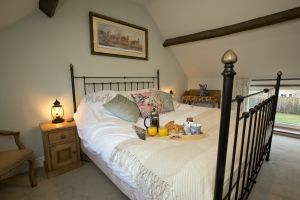 And if you love the interiors of this large luxury Yorkshire cottage, you’ll be delighted to discover the gardens are also pretty special. 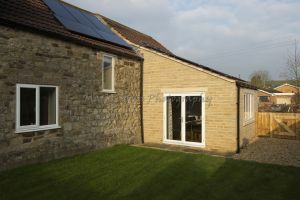 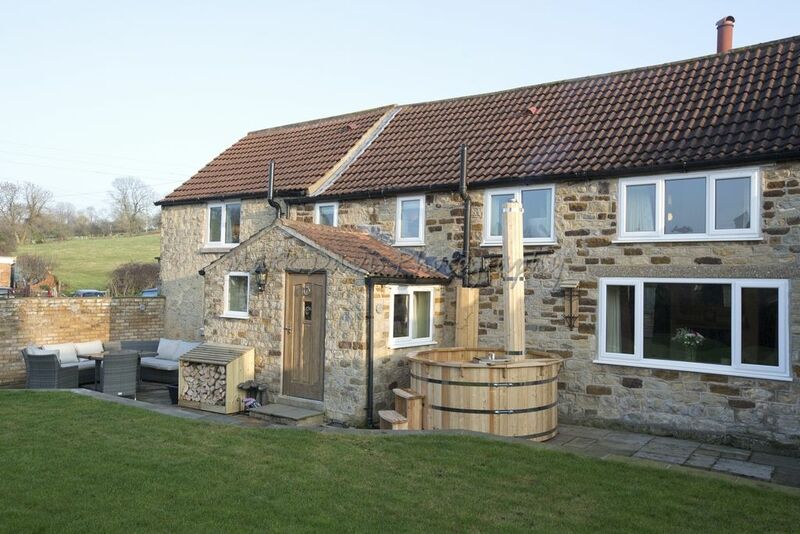 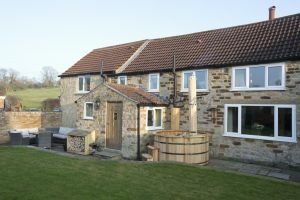 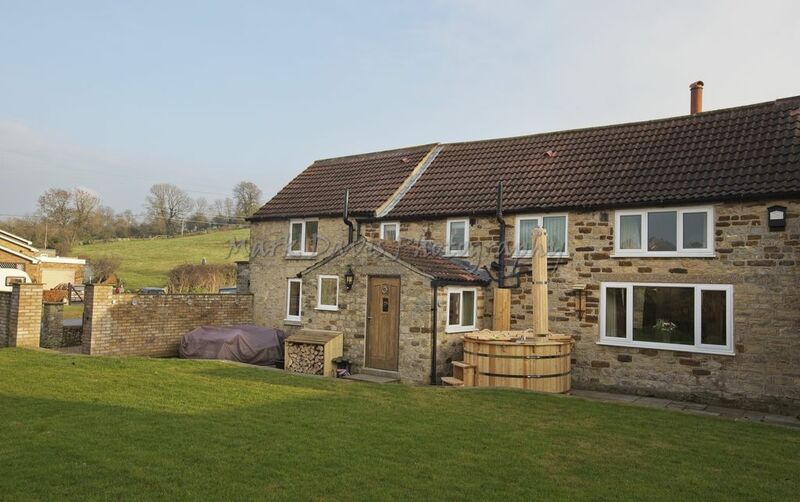 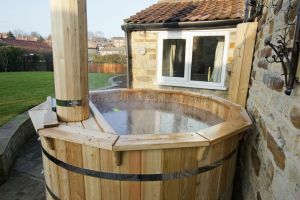 Step outside into a large and enclosed rear garden, complete with lots of comfortable outdoor furniture and of course that wood-fired hot tub. 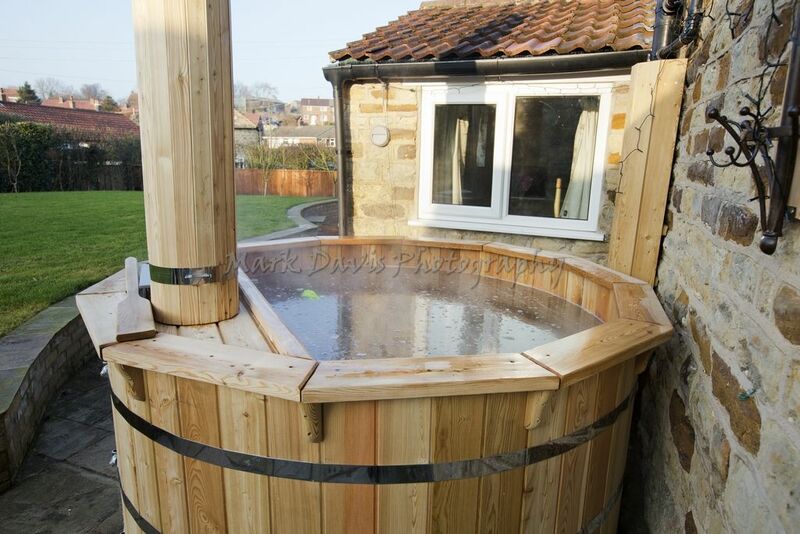 What better way to end each day than a dip in the tub followed by a night-cap as the sun sets over the garden. Little ones will love the fact they have a large lawned area to run around on and you even have your own mini orchard to enjoy. 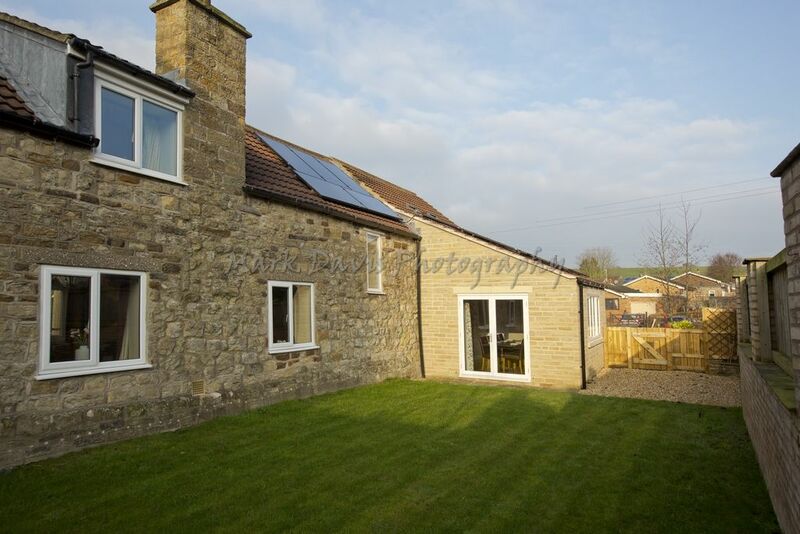 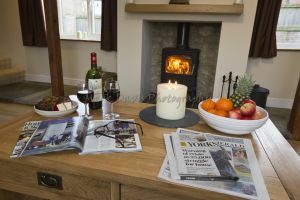 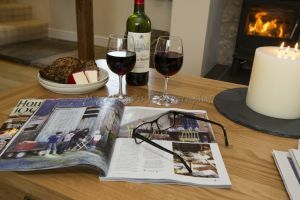 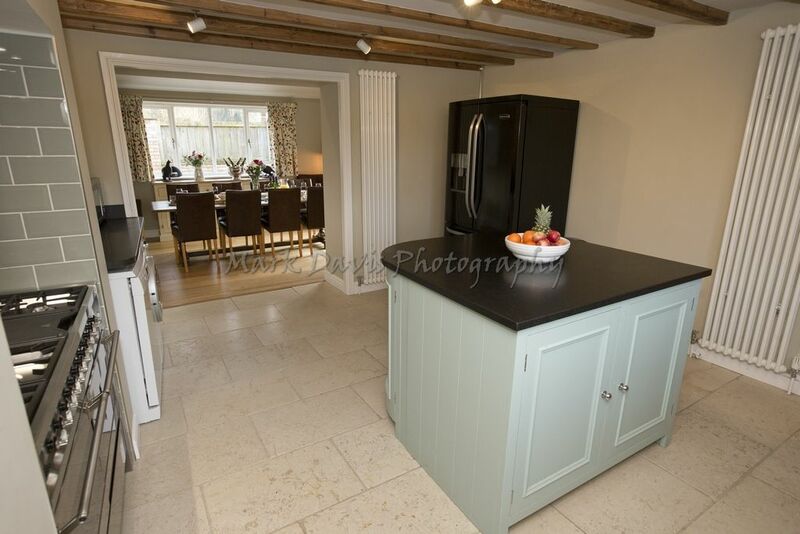 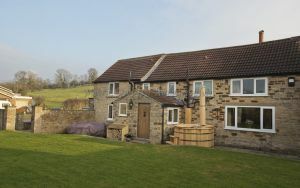 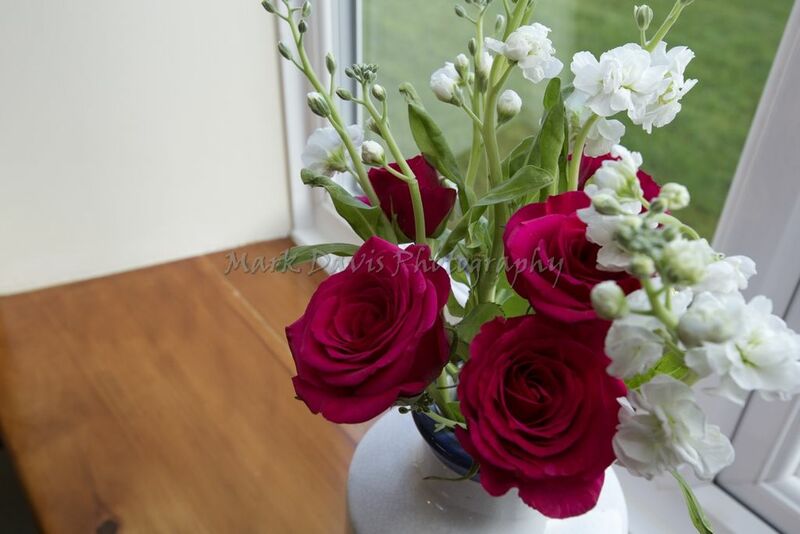 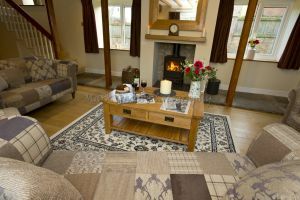 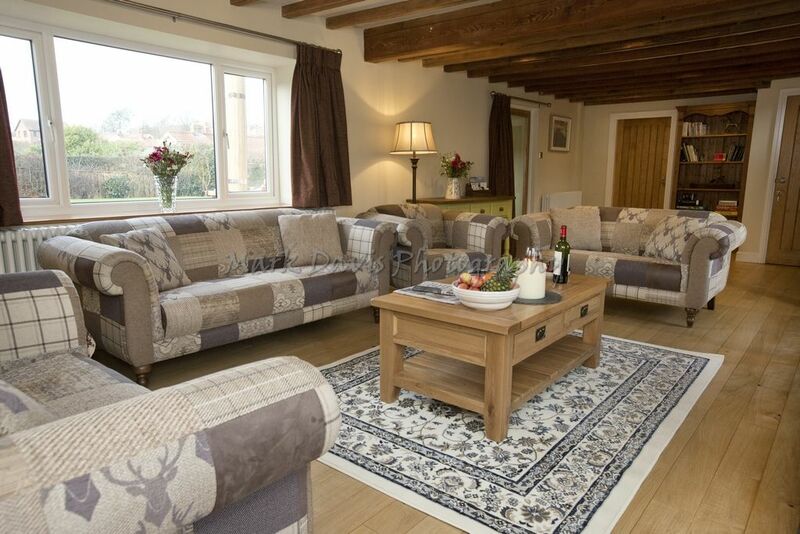 The cottage is located around 30 minutes North of York in Leavening, a sleepy little village just a few miles from Castle Howard. 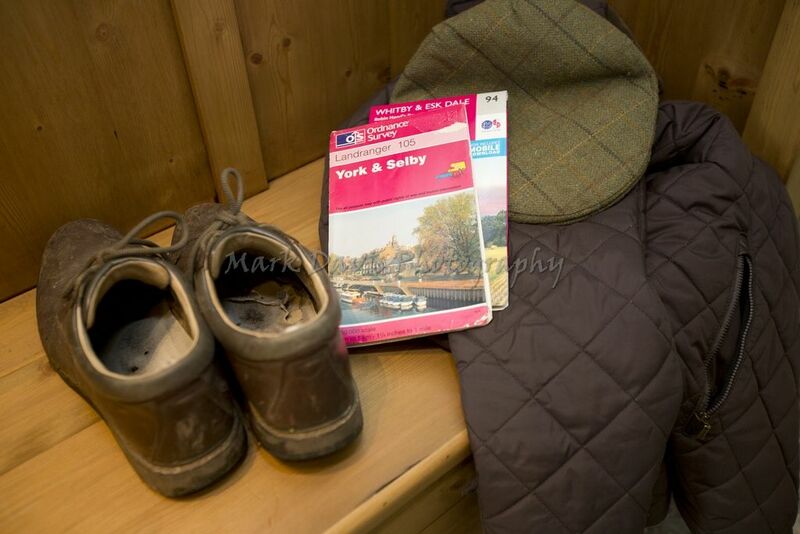 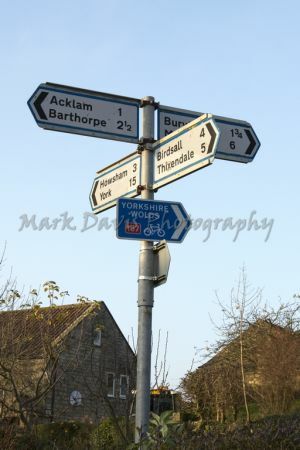 This quiet little spot is well placed if you want to nip into York for some sightseeing or shopping and be close to the North York Moors for bracing country walks. 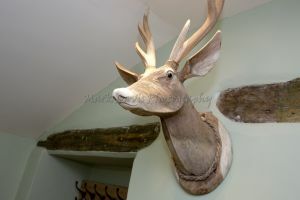 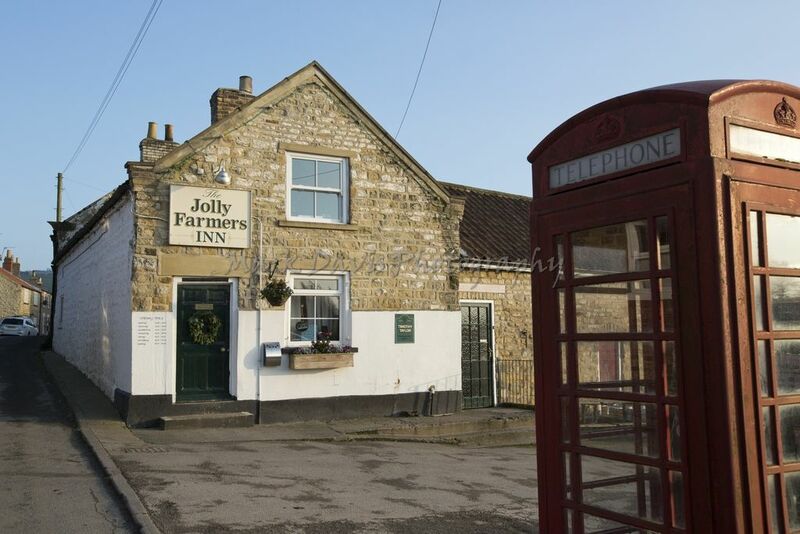 And if you fancy a pint or dinner out one night there’s a lovely pub in the village which serves excellent pub grub, with lots of fantastic gastro pubs in the area too. 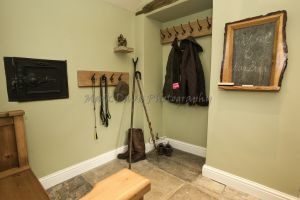 If you’re a fan of real ale you might also want to try The Bay Horse at Burythorpe; its walkable from the cottage just over a mile away.